There is so much to do in this area of the country! Stay in this warm and cosy 3 bedroom home with two lounge areas and a modern kitchen. In winter the log fire warms the whole house, with additional heating in each bedroom. There is a large deck for outdoor dining and plenty of off-street parking. This House gives you a log cabin feel with all natural timer inside. The section is fully fenced with a gate to let the kids run and play outside safely. In mid to late summer there are 2 large plum trees laden with plums to enjoy, or just sit back and enjoy the views to the surrounding hills any time of the year. 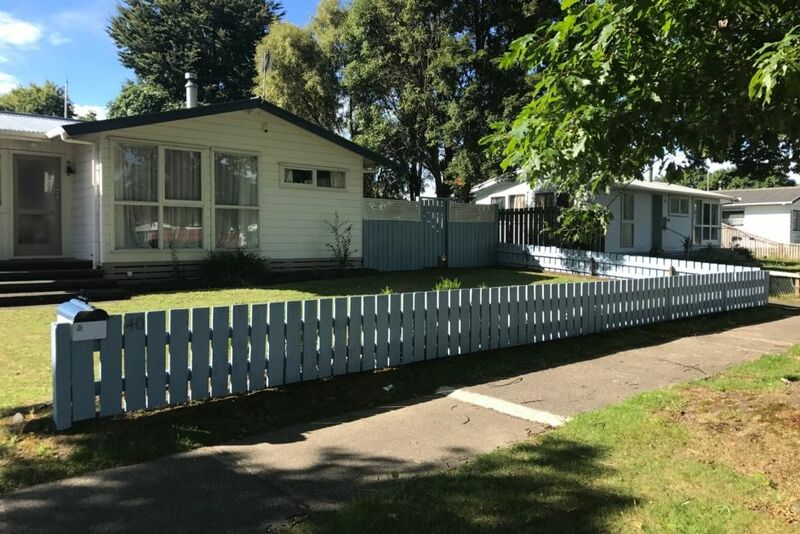 The house is 2mins to the Town Centre and on a main road out of Turangi for easy access to the lake and mountain. It's a 'hop, skip and a jump' away from the Whakapapa ski field (30mins drive), before you head up the mountain there is a ski hire shop two minutes down the road from home. Access to Lake Taupo is 5min in Tokaanu, which is where you can find the Tokaanu hot pools for a soak and take a short walk around the amazing thermal mud pools with the kids. When the weather turns, Taupo is only a scenic 30 minutes drive with plenty of shops and adventure activities to enjoy such as: prawn fishing, thermal walks, shopping and dining. 30min to Whakapapa ski field, avoid the queue, hire ski gear 2 min down the road. Cosy home away from home with all necessary facilities. Awesome Bach, so close to all attractions, would love to stay again in the near future. Great.. Enjoyed. Recommended .But It would be nice if you can provide heating for all bedrooms.